Simple accents for every look. 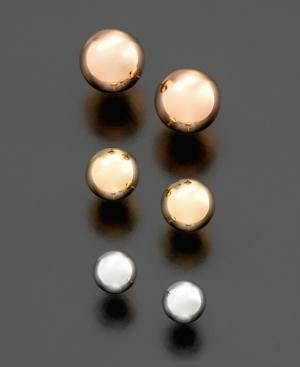 This beautiful set features three pairs of ball stud earrings crafted in 10k gold. The rose gold studs measure 6mm, the yellow gold studs measure 5mm, and the white gold studs measure 4mm.